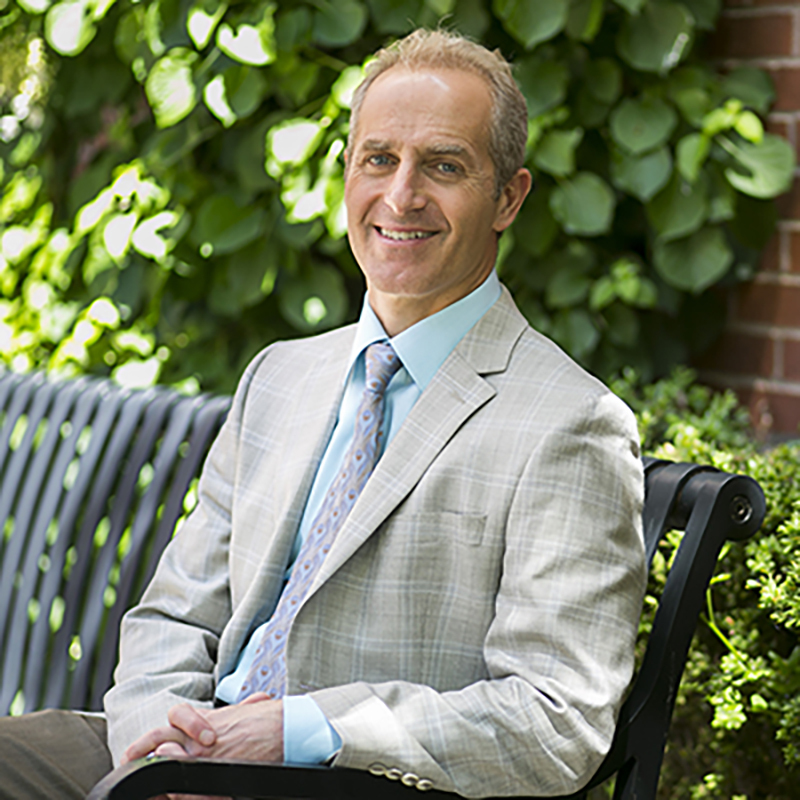 This year, we’re excited to welcome our new dean Dr. Dariush Mozaffarian. Previously an Associate Professor at Harvard Medical School, he comes to Friedman with an expertise in epidemiology and a mission to promote better fusion between the worlds of nutrition science and policy. His vision overlaps perfectly with the focus of the Friedman School. Read on to learn about the dean’s take on his new position and his advice for students. Last summer, Dr. Dariush Mozaffarian stepped up to the plate as the new Dean of the Friedman School of Nutrition. Previously, Dr. Mozaffarian was an Associate Professor at Harvard Medical School and the Harvard School of Public Health, where he co-founded and co-directed the program in cardiovascular epidemiology. In addition to his work as a professor, Dr. Mozaffarian is a leader in the world of research and was named to the Thomson Reuter’s 2014 list of the World’s Most Influential Scientific Minds. I was excited for the opportunity to speak with Dr. Mozaffarian and get his take on becoming the dean, his priorities for the future of health and nutrition research, and – of course – his opinion on the explosion of all things gluten-free. Q: Previously you were an associate professor at the Harvard School of Public Health and at the Medical School, where you led many initiatives like co-founding and co-directing the program in cardiovascular epidemiology. How do you see your priorities and responsibilities changing in your position as the Dean of Friedman, as opposed to your previous appointments? Dr. Mozaffarian: Over the last year at Harvard, I was trying to build consensus and trying to build a new university-wide initiative on global nutrition policy. That would involve the Medical School, the School of Public Health, the Kennedy School, the Law School, other schools, and bringing them together — people across the university doing nutrition science and nutrition policy — to increase the missions of education research and impact. So in many ways the position at the Friedman School is a natural next step toward what I was trying to do: bring together diverse faculty with diverse expertise to teach and do research and impact not only nutrition science, but also policy. One key difference is that my major role [before]…was my research activity. And so now, as the Dean of the Friedman School, I’m first thinking about all of the issues and missions of the school: everything related to strategic directions, hiring, space, plans, and many other things. Another thing that’s different is that as a dean, we have a major voice in the university-wide priorities and university-wide missions, and so a lot of out time is spent advising the provost and the president about university-wide missions…It’s a wonderful school with great faculty and students, so I’m doing much more, in many ways, than I was doing before. Q: You spoke about trying to tie together different schools and disciplines. The Friedman School has a policy side and a nutrition science side. Do you have a specific vision for the Friedman School? Dr. Mozaffarian: I think that’s what’s so attractive about the Friedman School. In the end, the goal is not just to publish papers, to generate knowledge, and to generate graduates but to have an impact on the diets of the world, on the nutrition of the world, and the health of the world. If you want to do that, what has become really clear to me is that one cannot simply just focus on nutrition science; one really has to have strong policy science as well and, most importantly, the two sides need to communicate. US policy has many examples of what happens when the two sides don’t communicate, and in global health, not just US policy, you have policies being set by very smart policymakers who don’t know the latest nutrition science. And you have very smart nutrition scientists who are advising policies that don’t actually make sense based on policy outcomes. You really need to have both sides to make a difference. What’s great about the Friedman School is that it has strengths in both areas. And not just in science and policy – it has strengths in agriculture and food production, sustainability, economics, and public health interventions – a range of areas that are all working together. Q: What would you say is the most important thing you learned from the process of advising international organizations? You advised the World Health Organization, United Nations Food, and the American Heart Association. What is the most important thing you took from that experience? Dr. Mozaffarian: I’ve mentioned this before, but the most important thing I’ve learned is really the crucial need to bring together strong nutrition science and strong policy science to make decisions. I think that sometimes happens, but it often does not happen; either the policy science, or the nutrition science, or both are not taking advantage of the newest knowledge. And so, I think the most important thing is to be sure that nutrition scientists and policy scientists are working together, and working with the people making decisions, to be sure that the policies that we’re setting are based on the strongest and most sound policy and nutrition science. Q: Can you give an example of an instance where somebody making policy wasn’t up-to-date with nutrition research, or when somebody working in nutrition science wasn’t in line with what’s going on in policy? Dr. Mozaffarian: I can probably give you pages of examples. One example is the school lunch program. The school lunch program has banned whole milk but allowed chocolate skim milk. If anything, there is evidence that kids who drink whole milk gain less weight than kids who drink skim milk. There’s evidence that people who consume more dairy fat observationally have lower risk of diabetes, and there are myriad reasons why that might be protective. So there’s really no reason to recommend skim milk over whole milk to children, no science other than theory. And certainly there is no reason to recommend chocolate skim milk, yet that’s policy. So that’s one example. Menu labeling is a national law [requiring] calorie labels, but there are crucial science questions and crucial policy questions [regarding this issue]. The crucial science question is, “Do total calories actually provide meaningful information and help people make a decisions about healthfulness?” And the second question is, “Even if they do, does putting calorie labels on the menu lead to the decisions you want?” And I think there’s very, very little evidence either of those are true. So we have a national policy that’s been set without really any evidence. It’s just set based on the fact that it [seems like] a good idea. I think a lot of policies happen that way. People think they’re a good idea based on theory, and so they just try it without looking to see what the evidence is. Q: Your background lines up perfectly with the focus of the Friedman School. What advice do you have for students focusing primarily on policy? Dr. Mozaffarian: I think two things. First, be sure while you’re studying here at the school and also in your career that you also understand the nutrition science. For example, there are behavior change scientists who know a lot about behavior change, yet their dietary goals are just to have people on low-fat diets, which we know from extensive evidence is not an ideal dietary intervention. So you could be a wonderful behavioral change scientist and design the perfect behavior change intervention, but if you have the wrong target then what you’ve done is useless or even potentially harmful. I think that policy students need to be sure that, during their education and their career, they understand the nutrition science. And…part of what the Friedman School does is teach the students how to objectively design and evaluate policy. Policies are interventions, sometimes on a community scale, sometimes on a state scale, and even on a national scale, [but] it’s remarkable how often we are pursuing national interventions without ever evaluating the actual impact of that intervention. …[So], I would emphasize: be sure to understand how to design and evaluate policy, and be sure to understand and be able to evaluate nutrition science. Q: Any specific advice for students in the biochemical and molecular program or the epidemiology program? Dr. Mozaffarian: I think it’s along the same lines. The strength of the Friedman School is that we have all these different disciplines and fields together. I think that’s why the Friedman School is such a wonderful place and why it has such potential for impact. You need to bring all those groups together to decide what is the right direction. The food system is incredibly complicated: from the climate, to agriculture, to food production and storage, to sales, and people’s choice, and health effects. In every program [at Friedman] people should be sure to learn what they need to learn, but also take advantage of the breadth of [the school] and make sure to be exposed to and learn from all the other fields as well. Q: Not even everybody at Friedman currently shares the same viewpoint about saturated fat. What do you think should be done about that, if anything? Dr. Mozaffarian: I don’t think anything should be done. There’s no requirement that people have the same viewpoint! I think it’s perfectly fine for people to have different points of view, and that’s what makes academics so great. People have differences. We need to continue to build the science. I think that science is moving toward consensus that individual nutrients are not that important for chronic disease; it’s overall diet patterns…But the wonderful thing about being at an academic institution is that different scientists have different ways of approaching questions and interpreting data. And all of that gets put together, not only within Friedman, but also outside Friedman, and eventually a consensus is reached and hopefully that consensus reflects the science. Q: If you could design your ideal experiment — any type of experiment with no funding limits, no interference at all — what would it be and what would it examine? Dr. Mozaffarian: I think there are questions on the policy side and on the nutrition science side. One of the key questions on the nutrition science side, I think, is the role of dairy in health. I think that there’s enormous potential for understanding how different dairy foods affect different outcomes. It’s substantially understudied and it’s a huge part of the diet, so I think that’s really important. How do you identify policies that are effective, how do you actually get those implemented, and how do you evaluate them? I think we’re in the same place for nutrition. There are an enormous number of things people agree on, so we need to figure out what are effective policies to get people to consume healthy diets, how do we get those implemented (which is political science as much as nutritional science) and how do you evaluate those to be sure they’re having the intended effect? Q: A “popular news” question: Recently, there has been a bit of a craze for eliminating gluten or all grains from the diet, propagated by books like Grain Brain and Wheat Belly. Do you have an opinion on this? Do you think there is substantial evidence that gluten is harming the population? Dr. Mozaffarian: No, I don’t think there’s substantial evidence, but I think there’s emerging evidence that gluten is independently harmful, and I think that’s very interesting and potentially could be very important. But most of the studies are from very limited, short-term human studies, anecdotal reports, or animal studies, so I think that more human study is needed before we know for sure that gluten is itself causally important…It’s just one example about how little we relatively know about nutrition and how much more there is to learn. Katherine Pett is a first year in the Biochemical and Molecular Nutrition Program. She can be spotted around her North End neighborhood in bright-blue headphones listening to an audiobook, or enthusiastically (if not gracefully) trying out the hottest new group-fitness trend at the gym.